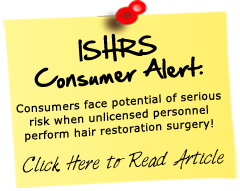 http://hairrestore.com/ Restore a more youthful appearance through non-surgical injectables. We are now offering Botox, Juvederm, Restylane, and Kybella. Schedule your injectable treatment with our experienced nurse, Terri Everest, RN, Certified Aesthetic Injector, under the auspices of Dr. Sharon Keene. While these therapies are new to our treatment line, our nurse has 9 years of experience in Botox and fillers, including advanced training in injectables. Terri can help you determine the best treatment plan for your goals. She is a member of the American Academy of Medical Esthetic Professionals, American Holistic Nurses Association, and Global Health Council. Dr. Keene will evaluate your individual hair needs. Call for a free consultation today. See the website http://hairrestore.com/ for a hair loss Surgical Clinic in Tucson or a hair loss Surgery Physician in Scottsdale Arizona for an appointment with Dr. Keene.